We recently entered our 27th Street project into an awards competition sponsored by the New Jersey Chapter of the American Society of Landscape Architects. The jury must have liked what they saw, because we were selected for an award! We were honored to have been selected by the awards jury as one of ten winners out of thirty-three entrants. 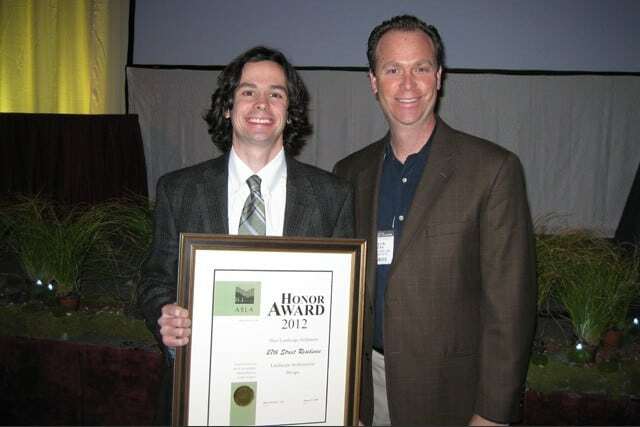 Perhaps most humbling though was that of the award winners, we were one of only two selected for an Honor Award, the highest distinction bestowed by the Chapter for landscape architectural design. 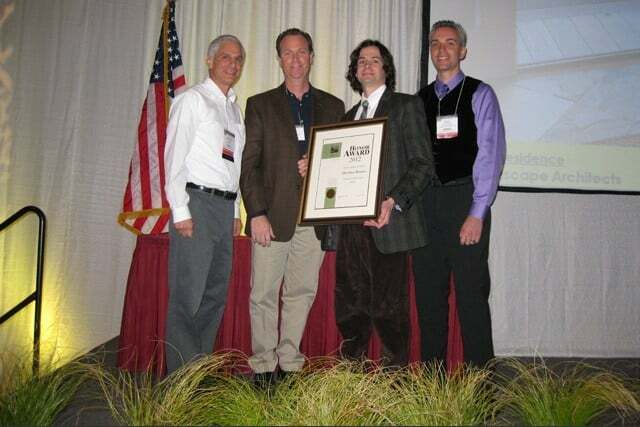 The award was presented at the recent NJ ASLA Annual Meeting and Expo in Atlantic City NJ. This symposium is typically excellent, and this year was no exception. The Annual Meeting Committee put together a great series of lectures on a cross-section of topical subjects, and the trade show vendors got to show off some exciting new products. Fellowship and networking opportunities also enabled further interaction with other LA’s and allied professions. We would like to thank the members of the awards jury for the recognition, and the Chapter leadership for putting on a fantastic conference! previous post: Congratulations Are In Order!